DIAMONDS are found with a range of colors, from faint yellow or brown to the very rare pinks, blues, greens and other colors know as “fancies”. However, the best color for a diamond is no color. It is a totally colorless diamond that allows white light to pass effortlessly through it and be dispersed as rainbows of color. To determine a diamond’s clarity, it is viewed under 10-power magnification by a Graduate Gemologist. Most diamonds have internal imperfections known as inclusions. 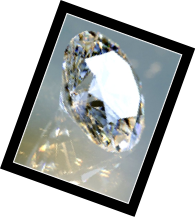 However, the fewer and smaller the inclusions are, the less likely it is that they will interfere with the passage of light through the diamond, and the more beautiful the diamond will be. Diamonds, more than any other gemstone, have the capacity to produce the maximum amount of brilliance. 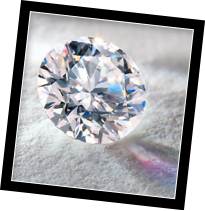 A diamond that is free of both inclusions and surface blemishes is very rare and therefore more valuable. The cut or make of a diamond will dramatically influence its fire and sparkle, for it is the cutter’s skill that releases its beauty. 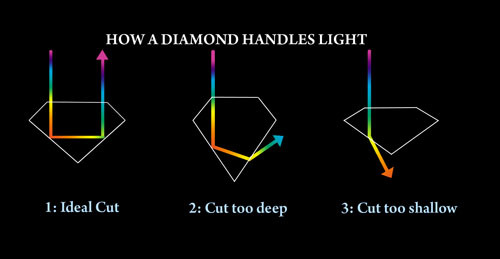 It is the cut that enables a diamond to make the best use of light. 1: When a diamond is cut to good proportions, light is reflected from one facet to another and then dispersed through the top of the stone. 2: If the cut of the diamond is too deep, some light escapes through the opposite side of the pavilion. #: If the cut is too shallow, light escapes through the pavilion before it can be reflected. As with all precious stones, the weight ~ and therefore the size ~ of a diamond is expressed in carats. The word carat originated as a natural unit of weight: the seeds of the carob tree. Diamonds were traditionally weighed against these seeds until the system was standardized and one carat was fixed at 0.2 grams (one fifth of a gram). One carat is divided into 100 “points” so that a diamond of 25 points is described as a quarter of a carat or 0.25 carats. 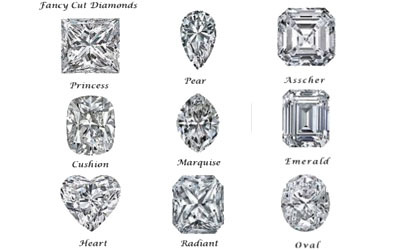 The chart below shows the comparative size of diamonds. WHY SHOULD I BUY JEWELRY FROM JESSUP’S? It is our goal to offer you the very best price available anywhere. In today’s world of huge chains and mass merchandisers this is a lofty goal. DIAMONDS: Diamonds are one of the most tightly controlled commodities in the world, dominated by the De beer’s Corporation. 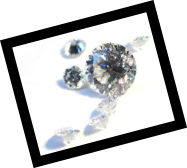 All jewelers buy diamond’s wholesale then add their markup (normally from 50% to 300%), JESSUP’S buys all of our major diamonds from individuals at below wholesale prices. Our Graduate Gemologist determines the wholesale value of the diamonds offered to JESSUP’S. This true wholesale value becomes JESSUP’S selling price. 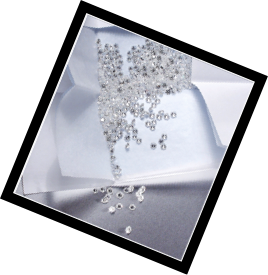 Diamonds have Blue Books just like cars, boats, or any other valuable commodity (ask us to show you the Blue Book on the diamond you are considering.) MARKETING: Service versus Price. Most companies today market their product by offering low price or quality service. This has worked well for the discounters on the standard items where comparison shopping is easy. It is very difficult to compare prices on diamonds. No two diamonds are alike and most consumers do not believe they are capable of determining the value of diamonds without guidance from knowledgeable salespersons. Jessup’s is able to sell at true New York wholesale, therefore we can offer our customers a WIN WIN combination of very knowledgeable staff and the lowest price available. The Gemological Institute of America bestows the title of Graduate Gemologist on those who have completed successfully their exhaustive diamond and colored stone courses. Those who hold a Graduate Gemologist title are recognized in the jewelry industry as the most qualified gem experts. Our on staff Graduate Gemologist has the additional advantage of 20 plus years of practical everyday experience with Jessup’s. Every gem and piece of jewelry sold by Jessup’s is analyzed, graded and evaluated by our Graduate Gemologist, so you can be assured you are purchasing accurately graded gems or jewelry. In addition, all of Jessup’s major pieces come with a free grading certificate and appraised price. CAUTION! A CURSURY LOOK AND GUESTIMATE OF THE COLOR AND CLARITY OF A DIAMOND OR GEMSTONE IS NOT THE SAME AS AN EVALUATON BY A GRADUATE GEMOLOGIST. BUYER BEWARE! CAUTION #2 NEVER BUY A PIECE OF JEWELRY OR GEMSTONE WITHOUT A WRITTEN WARRANTY, GIVING YOU THE ABILITY TO RETURN THE ITEM FOR A FULL REFUND. THIS GIVES YOU THE OPPORTUNITY TO HAVE THE GRADING AND AUTHENTICITY CHECKED BY A GRADUATE GEMOLOGIST OR A GEM LAB. CONFIDENCE or TRUST: Unfortunately in world one must be cautious. We have found that the customer that is well informed and educated about the product they are buying is much more likely to get a good buy than the person who “trusts” all will be O.K. We do not agree with policies of protection such as “no refunds”, “no exchanges”, “no returns”, “no exchanges on lay-a-way”. Instead JESSUP’S policy on diamonds is simple. Buy it, take it home, comparative shop. If you are not happy with your purchase, return the diamond, in the original condition, within 30 days for a full refund. Avoid that nagging feeling of concern that you may have purchased an item that is not good value or not what it was represented to be. Shop Jessup’s of Daytona: 80 plus years in business in Daytona Beach and still owned and operated by the original family. VOTED BEST ESTATE JEWELRY again in 2013 by the News Journal Reader’s Choice Awards. Graduate Gemologist on staff to guarantee you are buying professionally graded and evaluated gems and jewelry. 30 DAY MONEY BACK GUARANTEE!